I was drawn to this title based on the Canadian history; I honestly had zero idea of the events that happened in Quebec and was shocked and saddened when I did a little research after I finished reading the book. What a tragic thing for those mothers and children to go through! 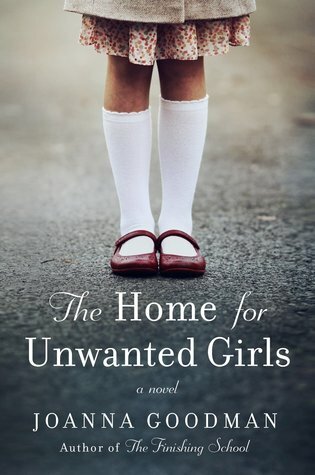 That all being said, The Home for Unwanted Girls really captured my attention and I had a hard time putting it down once I got into it. My heart ached for both Maggie and Elodie as they went through life yearning to be reunited with one another. A huge part of me desperately wanted them to be reunited, but part of me was skeptical if that was going to actually happen or not. I’ll admit that I thought that it was a little long (thus the half-star deduction) and there were a couple of parts I didn’t find to be really necessary, such as the whole thing between Gabriel’s sister and Maggie’s father. I really didn’t think it added much to the story, other than maybe that’s part of the reason why he forbid Maggie from being with Gabriel? Either way, I could’ve done without it. Still though, it’s a really interesting read that has inspired me to learn more about Quebec’s history. I’ll fully admit I don’t know enough about the province.